Last modified on May 23rd, 2018 by Vincy. There are many popular colorpicker plugins available in the market. Previously, we have seen an example to implement jQuery colorpicker with Bootstrap. There are many websites that that do not prefer to use Bootstrap for UI citing reasons that Bootstrap is too heavy. So in this article let use how to implement a color picker without using a Bootstrap plugin. I have used Vandelee Colorpicker and its a cool slim colorpicker. 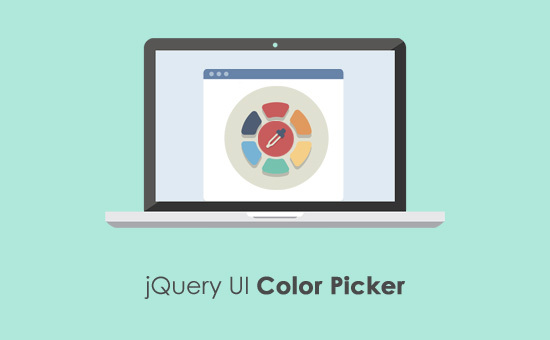 It is a jQuery UI themeroller based plugin and gives a rich color picker interface. I created a HTML form with an input field which mapped with the jQuery UI colorpicker plugin initialization. The plugin adds a colorpicker icon next to this input field. On clicking this icon, the colorpicker interface will be shown to the user to select colors. I have enabled the plugin option to display the colorpicker interface as a modal window. 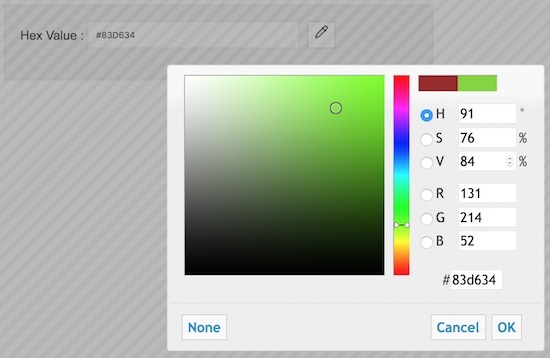 On selecting colors from the color pallet the HEX code of the selected color will be populated on the input field. Download the colorpicker plugin and include the dependencies. Don’t forget to define the HTML doctype to get the best output. Hex Value : <input id="colorpicker-full"
We used the JqueryUI Colorpicker to change the coloUr of icon dynamically and shows the HEX code in the input control box. This HTML code contains an input element and an icon. The icon element will be bound with the JqueryUI Colorpicker. This binding will be done on the click event of this button to show the color picker. On selecting a color, then it will be applied as the color of the icon element and gives the HEX code. In this script, the color picker library function is initialized with the reference of the colorpicker input element. In this initialization, I set the configuration option to override the default colorpicker plugin options. For example, I have set the modal as true to show the colorpicker as a modal window. I have also set the colorFormat as HEX to return the HEX code on selecting colors. This screenshot shows the color picker interface by using this jQuery plugin. In this output screenshot, it shows the HEX code populated in the input field on choosing the color from the pallet.